In 1718 John Green received a grant of 500 acres which was one of the earliest grants of land along the Black River. Green received additional grants on the Black River, which later developed into the plantations of Windsor, Wedgefield, Beneventum and Peru/Cumbee. Much of this land was laid out along a creek flowing into the Black River from the south, which was soon to be called Green's Creek. John Green and his wife, Elizabeth, settled on Green's Creek and had six children. Green died in 1750 and by direction of his will the 500 acre tract was sold to James Coachman. James Coachman, Esq. of St. James' Parish, Goose Creek, along with his brother William, bought and sold numerous tracts of land in the mid-eighteenth century in Georgetown County. In 1756, Coachman sold the 500 acre tract to Susannah LaRoche Man, widow of Dr. John Man. Susannah had married Dr. Man, a surgeon of Prince Fredrick's Parish, in 1743. Two children soon followed: Susannah, born in 1745 and Mary, born in 1748. The Man's made their home at what was later to be known as Springwood Plantation. Dr. Man was apparently dead in 1755 when an inventory was made of his estate, and soon after, Susannah Man purchased the 500 acres from Coachman. 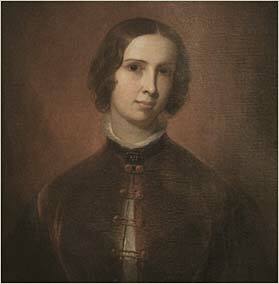 Susannah began construction of a house and named the property Mansfield, in honor of her late husband. Susannah made good use of the tidal swamp on the Black River, evidenced by the fact that in 1775 she sold sixty barrels of rice to the merchants Wragg & Smith of Georgetown. Susannah purchased additional land on Peter's Creek and inherited property just outside Georgetown (Willowbank). This was apparently the acquisition that brought Mansfield to 760 continuous acres, and it remained that way until the 1980's. In 1769, Susannah Man, the oldest daughter, married James Cassels, a planter of Winyah and Charlestown. 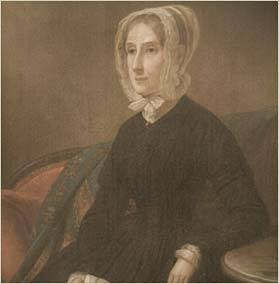 Susannah died a year later leaving an infant son, John, who was placed in his grandmother's care at Mansfield. James Cassels was one of those unfortunate British subjects that remained loyal to the crown during the Revolution. Charged with holding a commission under his Britannic Majesty during the period of hostilities, he was proscribed and his property confiscated by the state. He fled to England in 1782 with his son and later filed a claim in the English courts for damages arising from the war. Mary Man stayed with her mother at Mansfield, but in 1772 she purchased two lots on Front Street in Georgetown and built a two-story house with a central hall and double parlors. Mary and her mother Susannah lived in town, but according to family tradition, she continued to ride horseback some six miles each way, out to Mansfield to oversee the rice production. When she was thirty-seven years old she married Archibald Taylor, and had two children: John Man Taylor (1786) and Anna Maria Taylor (1787). Overseeing Mansfield and giving birth to two children at that advanced age may have affected Mary’s health, as she spent her summers in Boston after the birth of her children, and died there in 1801. John Man Taylor came into possession of Mansfield at age fifteen as a residuary legatee under his mother's will. He graduated from Harvard in 1803 and earned a masters degree in 1806. He lived in Mansfield as a bachelor, entertaining friends and overseeing the work of 125 slaves. He immersed himself in the social milieu of Georgetown, serving as vestryman at Prince George Winyah Episcopal Church, and joining the Winyah Indigo Society and the Georgetown Library Society. To the later, John donated 1,000 books from his own library. John Man Taylor appears to have been a man of unusual attainments and possessed those qualities that endeared him to his friends. Taylor was an extensive landholder, owning properties on the Black, Pee Dee and Sampit Rivers. At his death at age 37, he left Mansfield to his sister, Anna Maria Taylor. It was stipulated in his will that all debts and legacies be paid out of rents, income, revenues and profits of the estate, real and personal, and if the sale of any part to pay same be necessary, only so much be sold as unavoidable. Here is revealed the strong attachment to the land, characteristic of the low country planter. Anna Maria Taylor married Josias Allston, Jr., who died in 1808, leaving her childless. She then married the Reverend Maurice Harvey Lance, rector of the parish of Prince George's of Winyah in 1816 and had two daughters by him: Mary Taylor (1818) and Ester Jane (1822). Lance and his wife resided at Mansfield for the next twenty-five years. Lance also owned Mauricena on the Sampit. It was said that Mrs. Lance possessed to an unusual degree beauty and personal charm. She inherited the Man coloring, a fair complexion and auburn hair. In this her children resembled her and both made their debut in Charleston. In 1836 Mary Taylor Lance married Dr. Francis Simons Parker of Charleston and the Hayes, Goose Creek. Dr. Parker was a graduate of the College of Charleston and first honor graduate of the Charleston Medical College, but soon learned that profits from rice planting were so great that he gave up practicing medicine. In 1840 he purchased Wedgefield Plantation from Samuel Wragg, but the next year he traded it to his mother-in-law for Mansfield and Greenwich. Using his scientific background, Dr. Parker experimented with different fertilizers on the soil at Mansfield and increased the production from 375,000 pounds in 1850 to 1,440,000 pounds in 1860. He discovered that bat dung produced the highest yields of rice. Parker received advice from and shared his results with fellow members of the Planters Club on the Pee Dee and the Winyah and All Saints Agriculture Society. Mary and Francis expanded the house, adding the dining room wing and built a school house for their expanding family of nine children. It is also said the Francis and Mary planted, with their own hands, many of the live oaks that line the lane leading to the house and winnowing barn. The years just prior to the War Between the States were good for the Parker family and Mansfield. With unrest in the South, Dr. Parker became a vocal supporter of States’ Rights, following in the footsteps of his forebears who had signed such historic documents as the Declaration of Independence and the Constitution of the United States. He signed the South Carolina Ordinance of Secession on December 20, 1860 in Institute Hall in Charleston. At the onset of the war, the Parker's three oldest sons volunteered with the Confederacy. The eldest, John, was killed in Dumfries, Virginia, during the first year of fighting. Frank, the second son, served throughout the war as aide-de-camp to General Bragg and rose to the rank of major. Arthur Middleton entered the Confederate service one month after his sixteenth birthday in September of 1861. The fourth son, James, was called to the colors with the second class of The Citadel. Dr. Parker served as Provost Marshall for Georgetown district during the war and was said to have ruled with a firm but fair hand. In the spring of 1865, the Parkers were staying at Greenwich, just outside of Georgetown, where a mob of slaves, incited by federal troops, forced the family out and destroyed the house by fire. 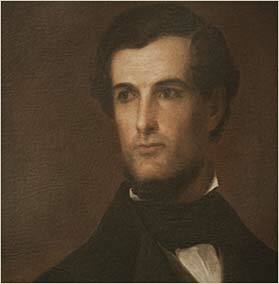 Dr. Parker faced difficult years following the war, unwilling or unable to adjust to the conditions of the time, and died in 1867, some say due to a broken heart. Mary Taylor never remarried and in 1868 signed a deed conveying Mansfield to her sons. The Parker boys operated Mansfield for several years at a profit but the years following the war were crowded with hardship and difficulty. Like most Georgetown rice plantations, Mansfield fell victim to labor problems, hurricanes and the growth of the rice industry in Louisiana and Arkansas. As a last resort, many of the planters financed their operations through the sale of turpentine and timber from the uplands. When these resources were exhausted, little was left. By 1912 Mansfield was no longer producing rice and at the death of their father, Arthur Middleton Parker, the heirs decided to sell Mansfield and break the 156 year chain of ownership. Charles W. Tuttle of Auburn, New York was the new owner of Mansfield. Following the pattern of so many wealthy northerners who bought low country plantations, Mansfield became Tuttleís winter home and hunting retreat. In 1931 Tuttle sold Mansfield to Colonel Robert L. Montgomery and his wife Charlotte of Ardrossan, Pennsylvania. The Montgomery's embarked on an extensive restoration of Mansfield. They added a basement to the main house and converted the School House and old kitchen to guest houses. They also added the North Guest House and brick fan-shaped patio. Colonel Montgomery also experimented with growing rice which the family and employees consumed. After he ceased rice production, due the lack of manpower during World War II, the rice fields basically became lakes and a haven for wildlife. After Mrs. Montgomery's death in 1970, her heirs sold Mansfield to Wilbur S. Smith of Columbia, SC who lovingly kept Mansfield from the fate of many plantations, the developer's dream. Wilbur also acquired adjoining land and brought Mansfield to its present size of just over 900 acres. At his death, his daughter Sarah Smith Cahalan inherited Mansfield and operated it as a Bed & Breakfast and provided tours of the house and grounds. Sarah (Sally) Smith sold Mansfield to John Rutledge (Francis Simons' great-great grandson) and Sallie Middleton Parker in 2004 returning Mansfield once again to the Parker family after an absence of ninety-two years. John and Sallie have embarked on a restoration project of the main and quest houses and plan to continue Sally Smith's vision of operating a B&B unlike any other. 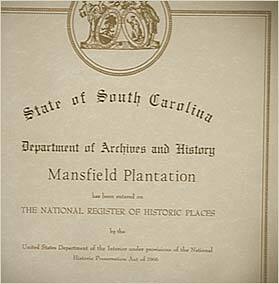 We invite you to come and stay with us at Mansfield and experience for yourself this special place steeped in South Carolina history. Watch a DOCUMENTARY by the Fine Living network on this remarkable story.